Demonstrations for their flying taxi are expected to begin in 2020. Self-driving and electric cars are already changing how we travel on streets and highways, but flying taxis are aiming to get us off the ground entirely. AirSpaceX, an air mobility company based in Detroit, revealed their flying taxi — dubbed “MOBi-ONE,”— at the North American International Auto Show earlier this month. MOBi-ONE was designed with autonomy in mind. It makes use of these capabilities to carry 2 to 4 passengers (or cargo over 200 kg /440 lb) to areas within its 60-mile range, including airports and urban centers. 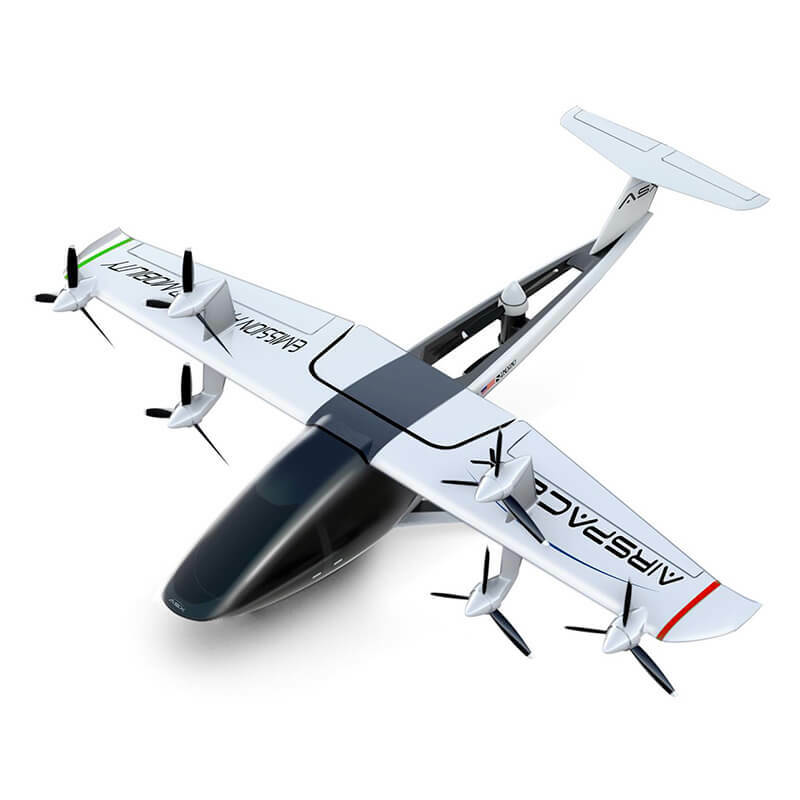 Its VTOL design enables it to take off like a helicopter, then re-position its wings and fly like a plane at a top speed of 250 mph. Passengers will be treated to broadband connectivity for high-speed internet access and can take comfort in the aircraft’s V2X collision avoidance and safety messaging systems. MOBI-ONE is capable of learning, and will eventually take cues from the pilot — but for now, a safety pilot is present for each flight. According to AirSpaceX founder and CEO Jon Rimanelli, MOBi-ONE will ultimately offer clean, quiet and on-demand air travel at a reasonable price (Rimanelli didn’t disclose potential prices during the event, however). NewAtlas reports MOBi-ONE has the potential to be used as more than just a taxi. It could also be used for medical and evacuation purposes, as well as research and surveillance operations. Rimanelli claims MOBi-ONE will be ready for demonstrations starting in 2020. JP Yorro, Chief Commercial Officer at AirSpaceX, detailed plans to launch 2,500 MOBI-ONE aircraft by 2026, which would be spread out across 50 of the largest cities in the United States. While AirSpaceX believesMOBi-ONE will reduce ground traffic and travel times, they aren’t the only company working on flying taxis who have claimed the same: Uber and NASA, as well as Airbus, and Boeing (with Near Earth Autonomy), also have flying taxi concepts in the works. The skies may seem relatively empty, but enough flying taxis will surely begin to make airspace more precious than ever, especially if they’re forbidden from traveling over densely populated areas. There’s no doubt that the idea of a flying taxi is exciting, but it remains to be seen just how practical they’ll be.